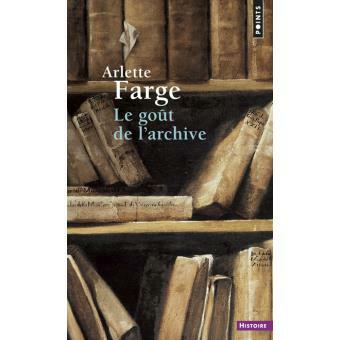 I recently finished reading Arlette Farge’s The Allure of the Archives. It’s a beautiful little book, written originally in French, translated into English by Thomas Scott-Railton. Farge’s journey into the archives brought her into contact with the denizens of 18th century Paris, ordinary men and women who entered the historical record only because they found themselves dragged before authorities as accusers and victims, witnesses or perpetrators. They came to advocate for their cause, to protect or recover their property, to seek redress, or vengeance, or, at times, to save their lives. Farge describes the people of Paris, but her experiences in the archives and the lessons she drew from the people she encountered there—men and women who appear fleetingly and incompletely in the judicial records–are wise and wonderful enough to be useful to all students of the past, whatever field they study. I can imagine using Farge’s book the next time I teach the freshman writing seminar. Farge describes the rituals and mechanics of archival work, and she describes archival etiquette, at least for an era before digital cameras became commonplace. But the book’s beauty lies in its account of Farge’s interactions with the archives’ inhabitants, the ordinary French men and women who show up in bits and pieces in the surviving records. “The incompleteness of the archive,” she writes, paradoxically “coexists right alongside the abundance of documents.” Tell me about it. Historians write down quotations from these documents, and “the proper usage of documents is similar to the inlaying of precious stones: a quotations only truly takes on meaning and significance if it fills a role that nothing else could.” Historical scholarship is a discipline and a craft and, for Farge, it is a reflective process. Those working in the archives must remain conscious of what they are doing, and the consequences that may result from their carelessness. We hold these forgotten lives in our hands. That is a privilege that comes with great responsibility. History is never the simple repetition of archival content, but a pulling away from it, in which we never stop asking how and why these words came to wash ashore on the manuscript page. One must put the archive aside for a while, in order to better think on one’s own terms, and later draw everything together. If you have a taste for the archives, you feel a need for these alternating tasks of exclusion and reintegration of documents and writing, as you add your own style to the thoughts that emerge. Still, so many people you meet in the archives, so many stories. “What can be done with these countless individuals, their tenuous plans, their many disjointed movements?” She likens these images to silhouettes on a wall or the shifting images one sees when gazing into a kaleidoscope, dynamic always, appearing and then disappearing, passing quickly out of your field of view before you get a clear sense of what you are looking at. I get it. My colleagues who write about Native American history will sympathize. In so many archives, in so many collections of documents, in parish registers, burial records, transcripts of diplomatic encounters, bits of correspondence scattered here and there, receipts, school records, and even newspapers, thousands of lives, thousands of individuals, will appear fleetingly, saying little or nothing at all, words recorded by people with limited understanding of the peoples whose stories they tell. These lives are difficult to reconstruct, I know, as I work through the many thousands of pages of documents I have collected to write my Onondaga book. It is difficult and demanding work. We work to recover larger pictures from scattered or broken fragments. But as I look small, I look large, too. We wrestle with the challenge of understanding the relationship between these individuals and the larger societal forms to which they belonged as native peoples. It is easy to write the history of native peoples as objects acted upon by non-native actors. Writing that sort of history, however, privileges the forces of colonialism and the voices speaking in behalf of that process. Farge has given me a lot to think about as I continue to read my sources and work on my history of the Onondaga Nation. The Onondagas, as a community, experienced warfare, disease, and dispossession. They endured efforts to break up their reservation, to individualize them and destroy their national identity, and to transform them into something else. They confronted the State of New York’s efforts to extend its laws over their lands and the decisions of nearby business interests that destroyed Onondaga Creek. Telling these stories requires detailed examination of the many thousands of pages of documents and an enormous amount of reading, but the work itself is not particularly difficult. The views of white policy makers and power brokers are uncovered with relative ease. The challenging part is reconstructing the lives of the thousands of individuals who cross the pages in the sources I read, and who interacted with these larger forces. History: It’s the study of continuity and change, measured across time and space, in peoples, institutions and cultures. To tell these stories of continuity and change, to give them real meaning, requires a close examination of the small pieces, the individual pebbles on the beach. 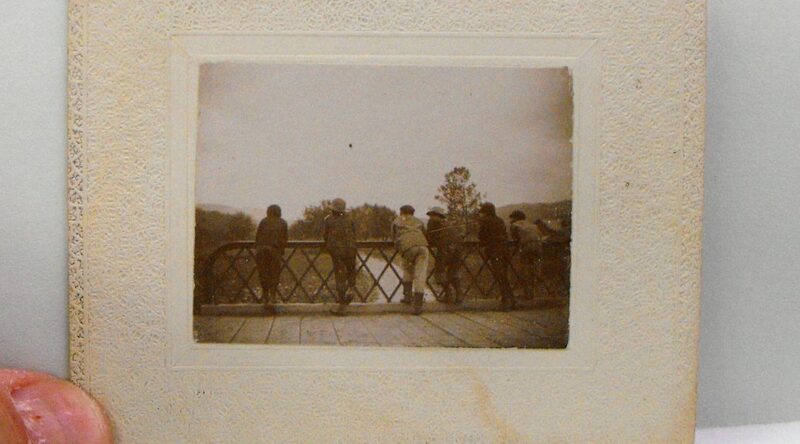 Boarding schools were terrible, we are told, instruments of cultural-genocide marching under the guise of benevolence. Richard Henry Pratt founded the Carlisle School, and I read his propaganda and his reports, all the paper detritus of his campaign to “kill the Indian and save the man.” The best he could see in the thousands of young Native Americans who came to Carlisle was that they might be formed into something else. Pratt’s words are difficult to read, knowing that his blundering arrogance shattered so many lives and caused so much grief. But I also need to look at the young men and women who clearly wanted to go to Carlisle because it offered them an opportunity to acquire a trade, to improve themselves. The records exist. We can see the Carlisle students who ran away from their “outing system” placements because they were homesick or were needed at home or because they hated their overseers, or fell in love with a fellow student working at a place not far away. It requires telling the stories of those Onondagas who missed the school once they left, who pestered the school’s administrators to send them copies of the student newspaper, and who attended Carlisle games when the team was close enough for them to make the trip. We must consider of the stories of those who were sent home because they were sick or rebellious or because they drank too much. It requires placing one set of difficult readings against another and against yet another still, cobbling the pieces together into some sort of sensible whole. Sometimes, the people who appear in these records have children and grandchildren still living. As historians, drawn in by the allure of the archives, we are voyeurs and witnesses, and we will uncover stories that if shared carelessly can produce grief and pain and sadness. If we view our trips into the archive like a raid or a treasure hunt–and I will admit to feeling this way during my 5:00am drives down the Thruway from Rochester to Albany–we risk becoming exploitative, engaging in a sort of colonial enterprise. These documents are not ours, and the stories we fashion from the lives we see in bits and pieces do not belong to us alone. As we share these stories, and shape our careers as historians on the backs of the people about whom we write, we must remember our obligations, and the seriousness of our enterprise. Many of my friends are historians, and many of us, I believe, identify closely with the work that we do and the subjects that we teach. It is part of what makes us what and who we are. We think about our work a lot, maybe too much for those with whom we share our lives. We can obsess and lose sleep as we think about the questions that can only be answered by a sojourn in the archives. We must be honest: as historians, we are nothing without these stories. 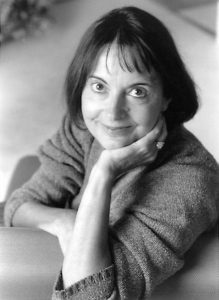 Arlette Farge’s book reminded me of these obligations, and the deep and alluring connections that exist between the people we write about and the stories we tell, what we do and how we see ourselves.